We returned home, realizing that we could easily make our own fish tacos. Upon reaching this conclusion, we scoured the grocery store looking for the perfect battered fish, as we knew that would be key to delicious fish tacos. 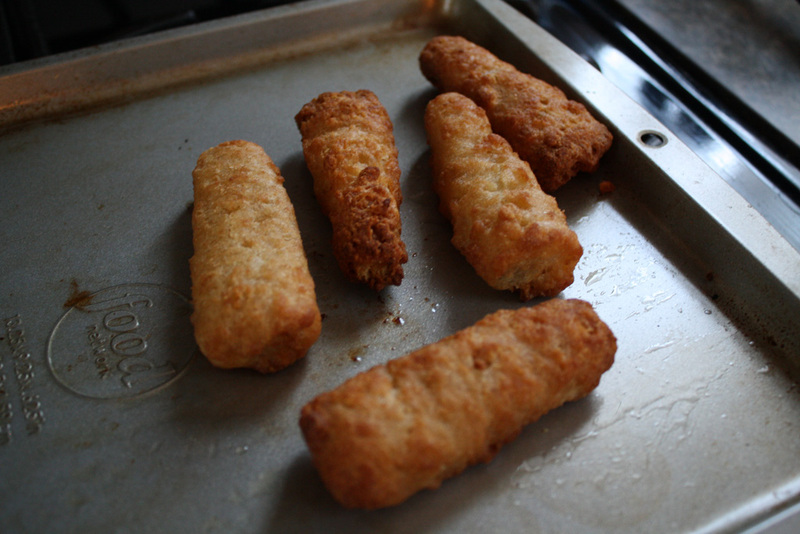 We discovered that Gorton's makes battered fish fillets and they can be found in the frozen food section. The rest was easy! 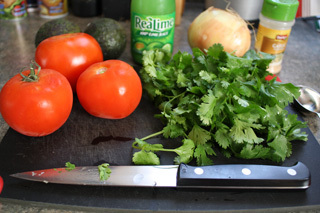 Dice the tomatoes and onions. Put in a medium bowl. 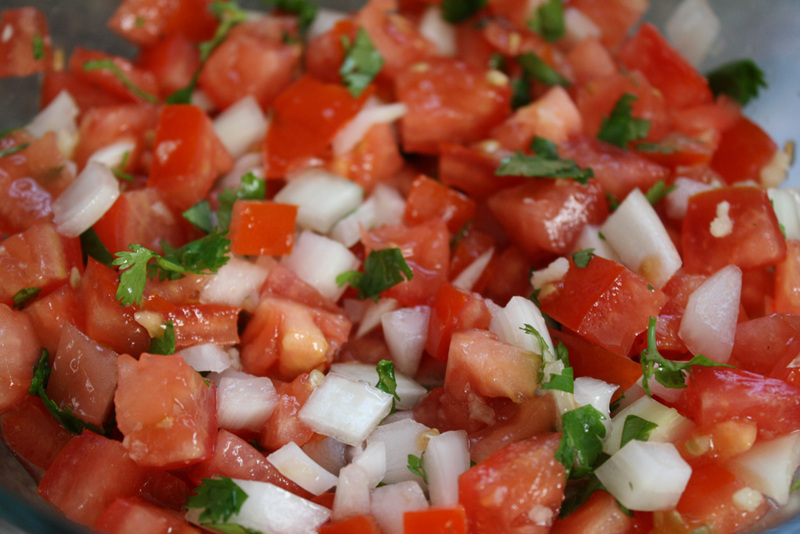 Chop cilantro and add to tomatoes. Mix in lime juice, minced garlic, and garlic powder. Cover and refrigerate for at least 1 hour before serving to allow flavors to heighten. Preheat oven to 425F. Place fish fillets on a cookie sheet and bake for 17-19 minutes. Heat 4 small tortillas for 10-20 seconds in the microwave. 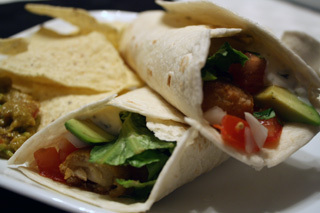 Put 1 and 1/2 fish fillets on each tortilla (i.e. 3 per person). 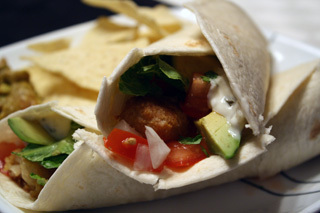 Then top each taco with 1/8 cup pico de gallo, 2 small slices of avocado, 1 tbsp of tartar sauce, and lettuce. Pairs well with a hard cider, Hint of Lime chips, and homemade guacamole! 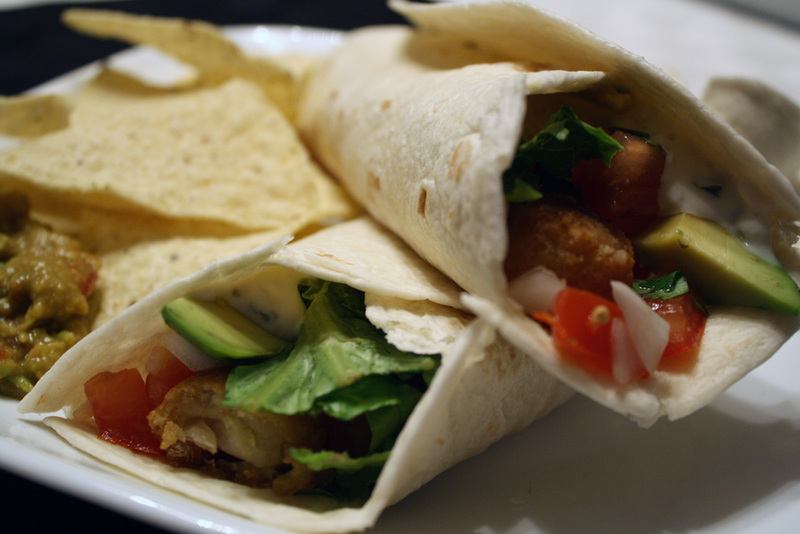 These fish tacos are easy to make, yet incredibly delicious. Enjoy!